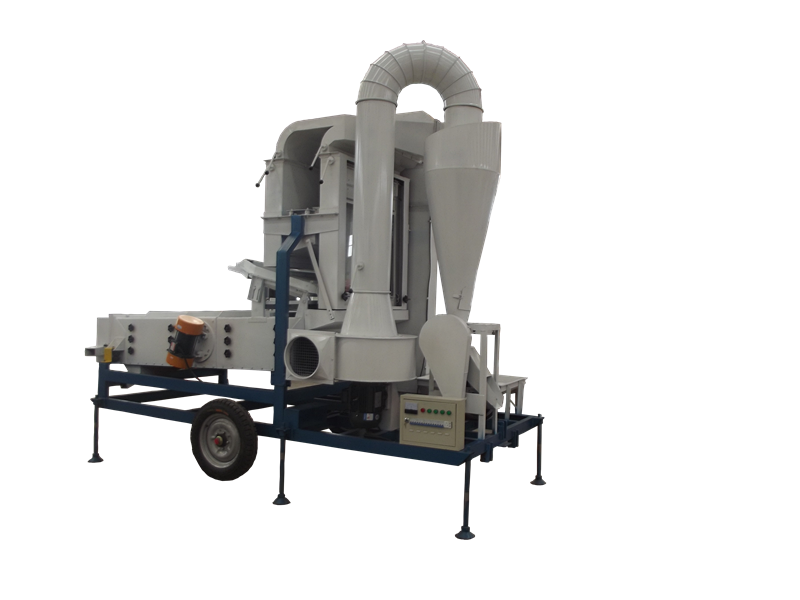 The 5XZF-7.5F Seed Cleaner & Grader (with stone removing plate) is used for cleaning and grading seeds, grains, cereals, and other granule products, also removing stones. It can be equipped to suit a variety of special jobs and purposes. 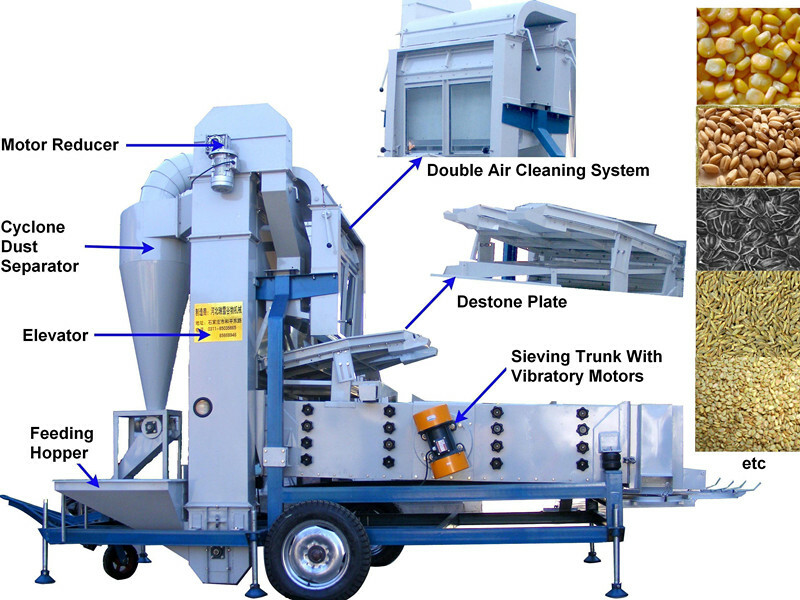 Materials enter to the elevator via inlet hopper, and lifted by elevator, then enter to second wind sieve via grain transmitting pipe and grain scattering box, and then fall to the stone removing plate, following enter to first wind sieve. The light impurity will be separated via two wind sieves, and collected into cyclone dust separator via air pipe, finally release via air-lock valve, the heavy impurity will be separated by stone removing plate, the rest part will enter to sieving trunk for removing the large and small impurity also grading your grain into different levels by size. 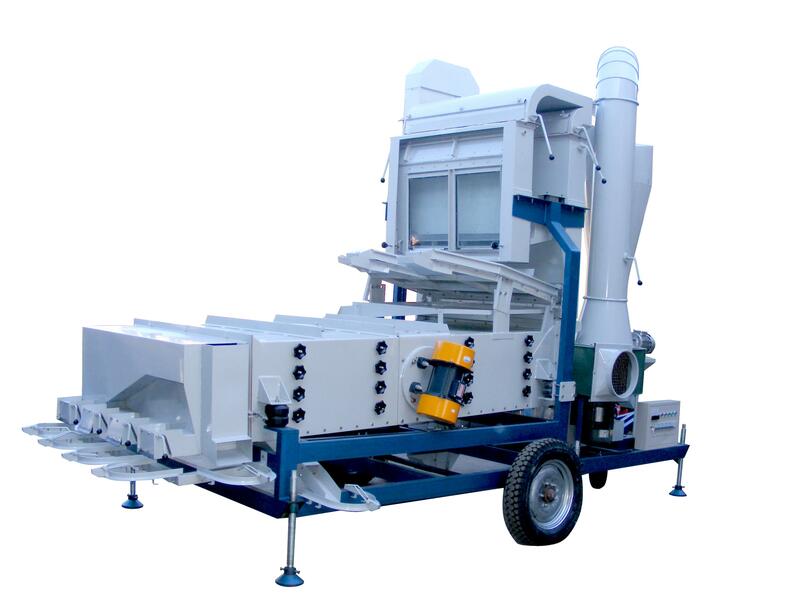 Looking for ideal Paddy Seed Processing Machine Manufacturer & supplier ? We have a wide selection at great prices to help you get creative. All the Paddy Processing Machine are quality guaranteed. We are China Origin Factory of Paddy Fine Cleaning Machine. If you have any question, please feel free to contact us.